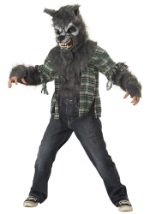 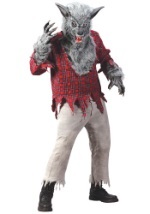 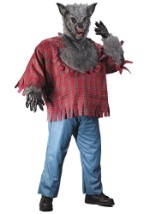 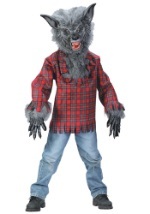 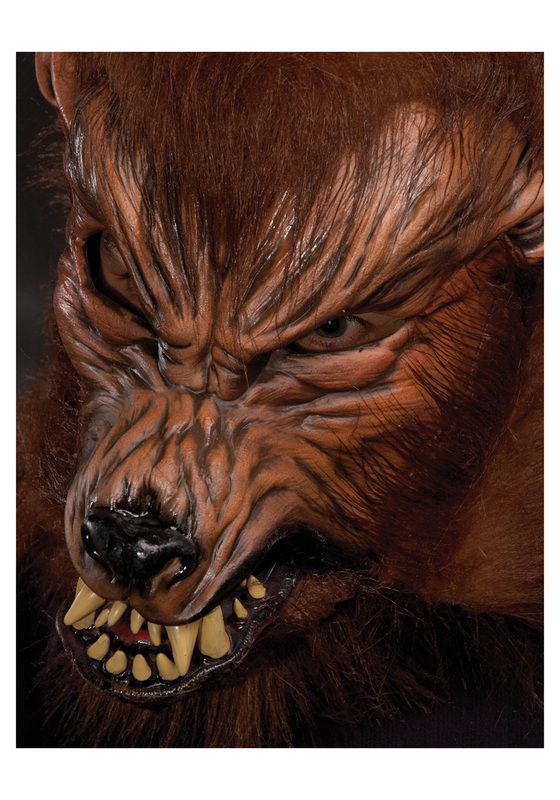 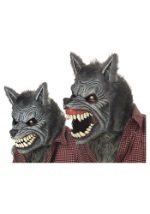 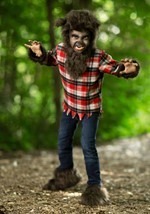 Everyone will believe you to be a real, live lycanthrope with this frighting werewolf mask. The full mask features a latex wolf face, complete with snarling mouth and teeth, while brown faux fur surrounds the top and back of the mask. 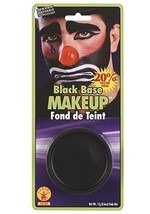 Foam pads line the inside for a comfortable fit and a series of elastic bands secures the mask to your face. 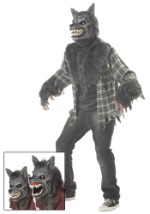 A strap around your jaw makes it so the mask moves its mouth when you move your jaw. 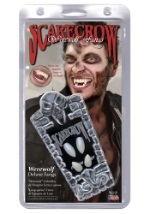 Holes near the eyes allow for clear vision and an opening near the mouth allows for comfortable breathing. 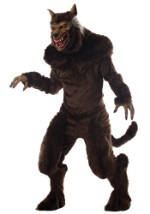 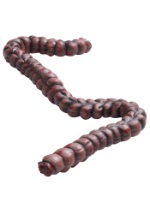 You can finally let out that snarling beast living deep inside of your psyche!